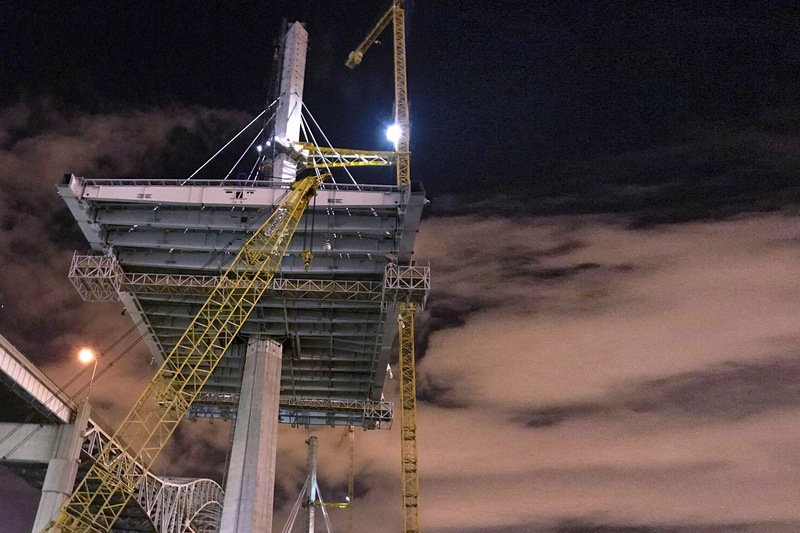 The main spans of our curvy new footbridge to Oslo’s national stadium are now in place. The bridge is due to open to pedestrian traffic in May. 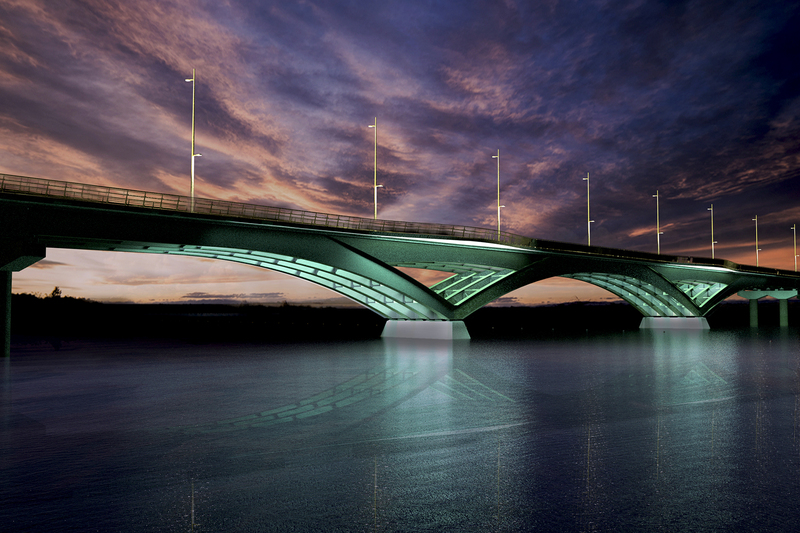 BEaM designed the bridge with EFLA Consulting Engineers. BEaM is providing architectural services to a multi-disciplinary team comprising Kiewit, Hatch and SYSTRA team for this 1.2km crossing of the Cataraqui River which is the first in North America to use an Integrated Project Delivery model. Click here for more information, including the Owner’s reference scheme for the site. The pylons are in place and the first deck sections are being constructed on the Gerald Desmond Bridge in Long Beach CA. BEaM acted as Architect for the post-tender design and construction phase, developing technical and visual aspects of the project in accordance with the Employer’s Requirements for Shimmick Construction. Click here to see a video of the ongoing construction. 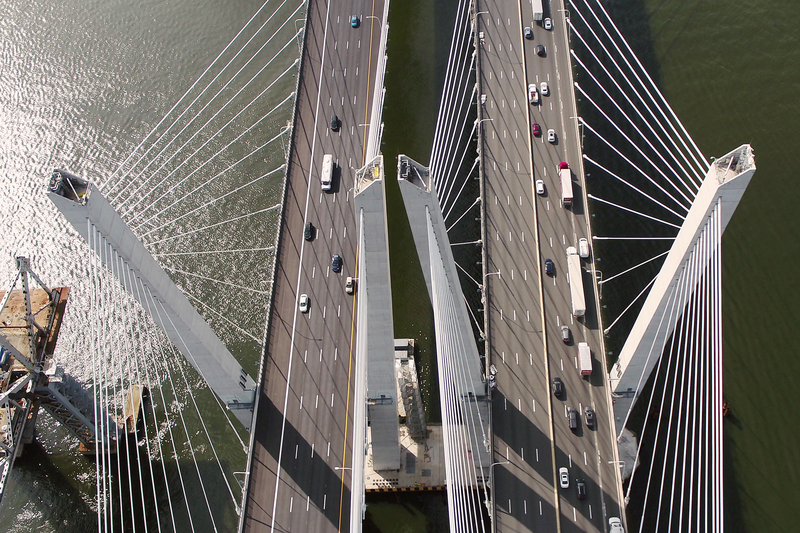 The eastbound carriageway of New York’s new Mario M Cuomo Bridge is now open to traffic. The architecture for the cable-stayed replacement of the existing Tappan Zee bridge was developed several years ago by BEaM Director James Marks for the successful contractor. The Employer’s Requirements were developed for the Project Owner by Keith Brownlie who also served on the client’s Blue Ribbon Selection Committee and Aesthetics Advisory Committee. Mumbai Trans Harbour Link is a 22km long highway connection between Sewri in Mumbai and Chirle in Navi Mumbai, including a 13.8km crossing over Thane Creek. 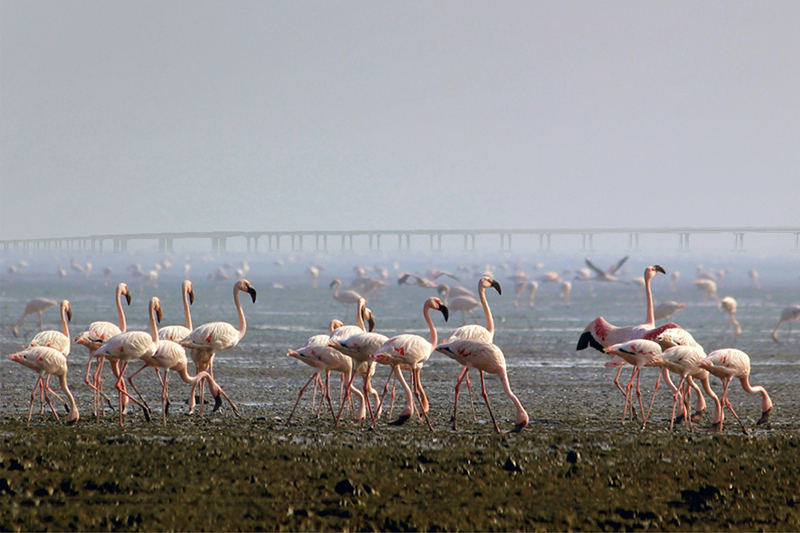 BEaM is supporting each of the appointed contractor teams building out MTHL, to provide a unified aesthetic strategy for what will be India’s longest sea bridge. The design for this major sculpture installation has been selected. 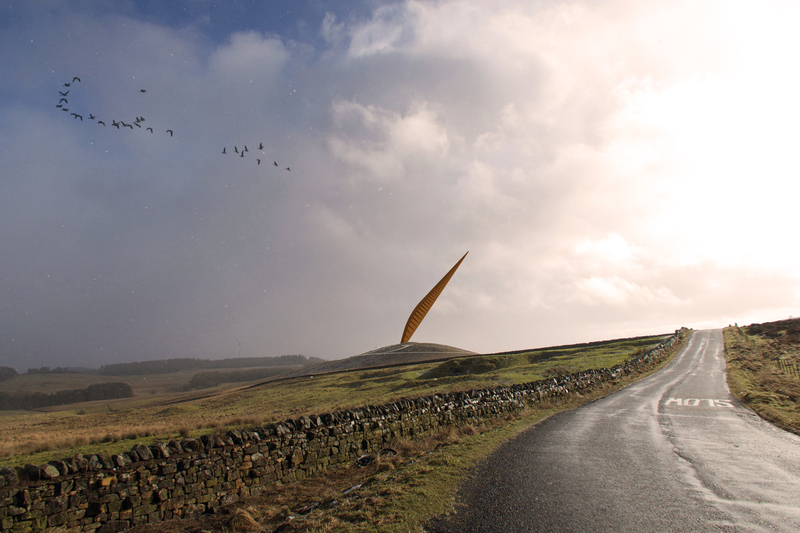 BEaM assisted artist Simon Hitchens to develop a proposal for a large-scale public art piece to be sited within a national park in Northumberland. A large pylon, 80m in length and fabricated from weathering steel, is mounted in the top of a Cold Law Hill. More information is available from the artist’s website at this link and from the client’s website at this link.